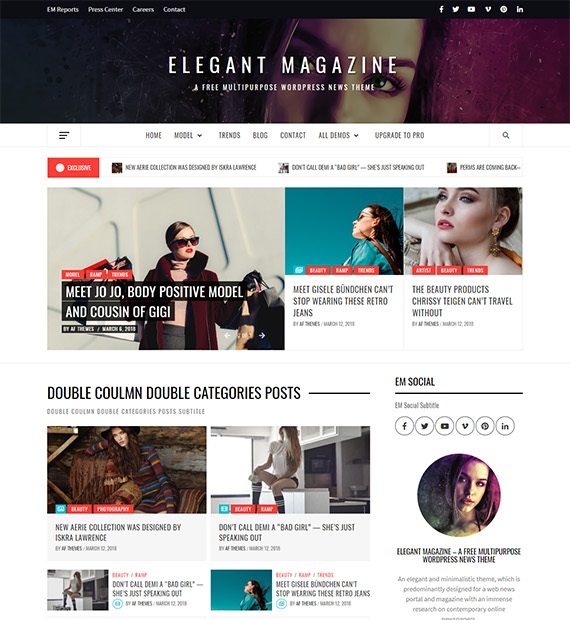 Elegant Magazine is an elegant and minimalistic WordPress Multipurpose theme which was initially designed for Magazine and News Portals. But now you can choose to implement layouts as News Portal, Minimal Magazine, Travel Blog, etc. as per your requirement. Responsive design and optimized code make it SEO friendly. With live editing options and widgets, it is highly customizable. Also, it is compatible with WooCommerce to manage your online business.